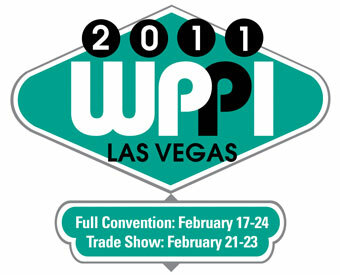 We’re happy to announce we will be part of the WPPI 2011 trade show. WPPI stands for Wedding & Portrait Photographers International. Their annual convention is one of the biggest in the photography industry, with last year’s convention drawing over 12,000 photographers and several hundred exhibitors to their trade show. The convention runs from February 17-24, with the Trade Show on the 21st through the 23rd. For anyone who hasn’t been, it is an amazing opportunity to learn from speakers and classes that offered throughout the week, meet and network with thousands of photographers, get inspiration from the incredible print competitions, and of course to meet us! We will have some great giveaways and surprises, so keep following us and stay tuned for updates. We’ll be in booth #1453, if you’re there in person stop by and say hi! New Features – Font Choices, Music, and more! It has been a couple weeks now since officially announcing our launch and in that time we have been working on some exciting new features. One of the most requested features has been to add even better options for customizing our sites. In particular, people wanted color and font choices for the main menus. So last week we quietly released both to our Latte and Cuppa Joe themes. You can now choose from several fonts and colors for every aspect of the main menu, the headings for each page and post, and you can even choose between fonts for the text of the whole site. EDIT: As of 9:00 PM Friday, we just added fonts and colors to the Espresso themes as well! Fonts are notoriously plain in websites because browsers only support a handful of fonts that mostly look the same. To get around this, there is a technique known as “@font-face” that allows us to embed (almost) any font we would like to use. Thanks to the amazing font site FontSquirrel, we are able to offer a great selection of fonts to really customize your site. 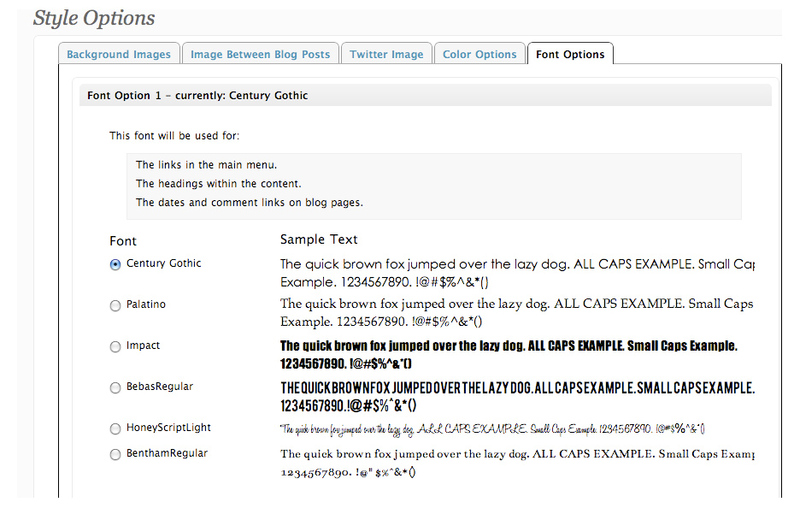 You can find the new font options by logging into your site and visiting “BlogSite Options->Style Options->Font Options”. A close second to fonts has been music. 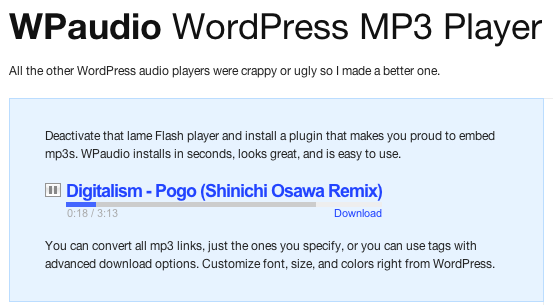 We added a plugin called wpaudio that allows you to embed any mp3 file within any post or page anywhere on the site. You can find instructions for adding audio on our support site. The ability to add Video was always there but the way to do it is not immediately obvious. The only thing we did to make this easier was write up some instructions for adding video. This one is boring but important. As I mentioned above with music and video, we have added some improved documentation to the support site, making it even easier to get up and running. Themes determine the overall look and layout of your site. Each of our themes has distinct font and color choices and can really change the feel of your site. The first step in customizing your site is to choose one of these themes. Then you can play with fonts and colors within each theme. Every Photography BlogSites user will always have access to any new themes we release. Even better, the themes are all built to work together so that the content will work within any theme. This means you can switch the look of your site at any time, as many times as you want. Coming in the next week or two, we will be releasing some new themes so stay tuned for the official releases! Keep The Feature Requests Coming! I would like to thank everyone who has signed up for trying us out early on and for giving us such great feedback along the way. We are always open to suggestions and will prioritize based on the kind of requests we get. So use the forum, or add a comment below and let us know what we could add to make the BlogSites even better.